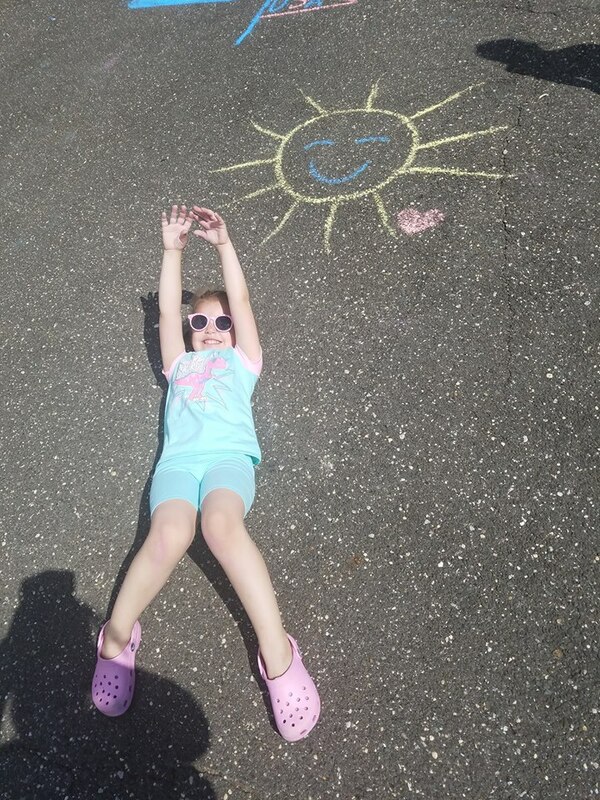 During the Summer we always try to find fun things to do with the kids that don’t cost a lot of money and create fun memories. 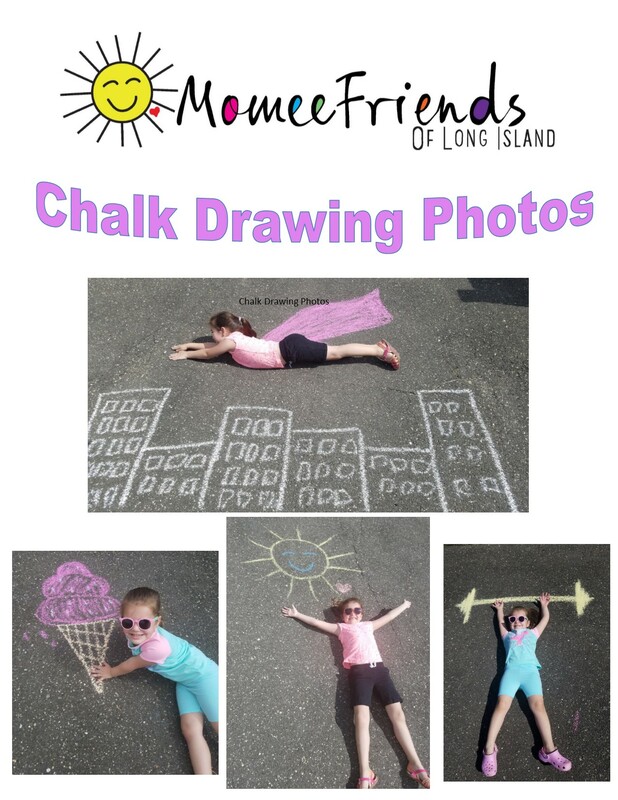 This activity was so much fun and we loved looking at the photos after we drew the chalk art and posed with the chalk creations. 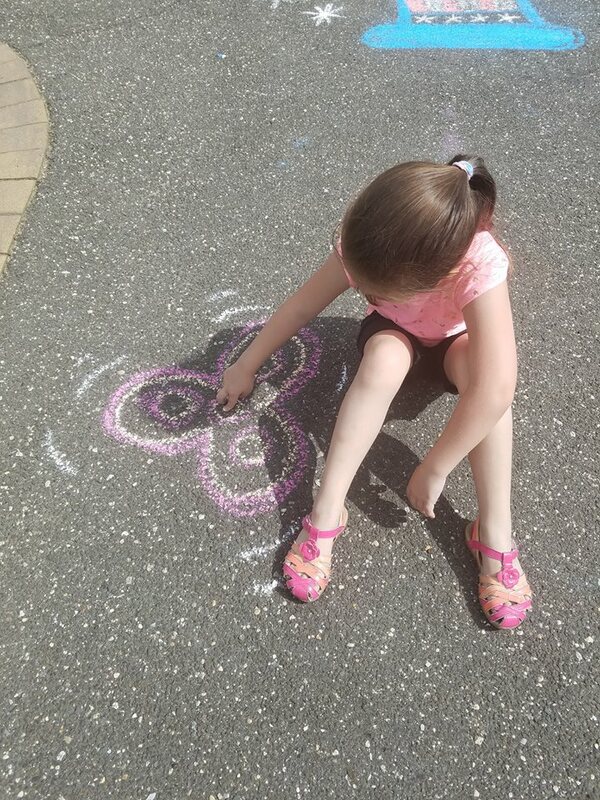 What will you draw? 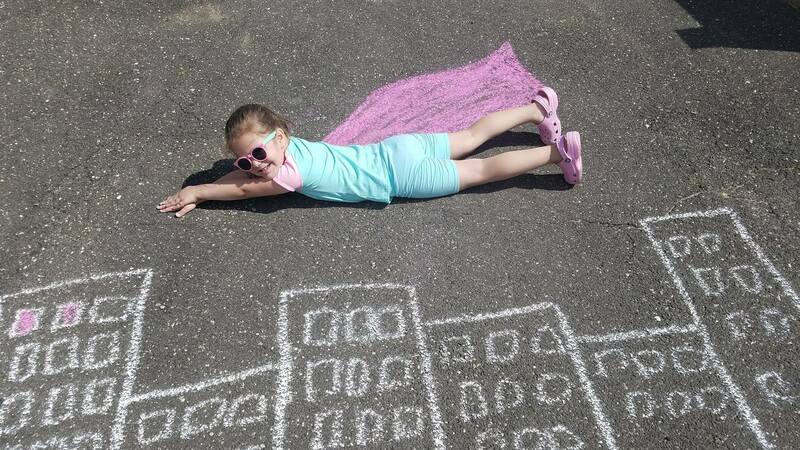 I suggest doing it in the morning or later in the day when the pavement is not so hot. 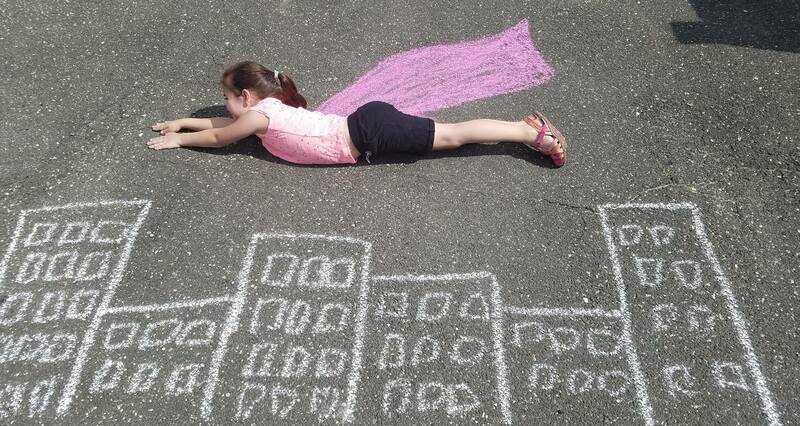 By simply drawing a cape and buildings your little ones can become a superhero that is ready to save the day. 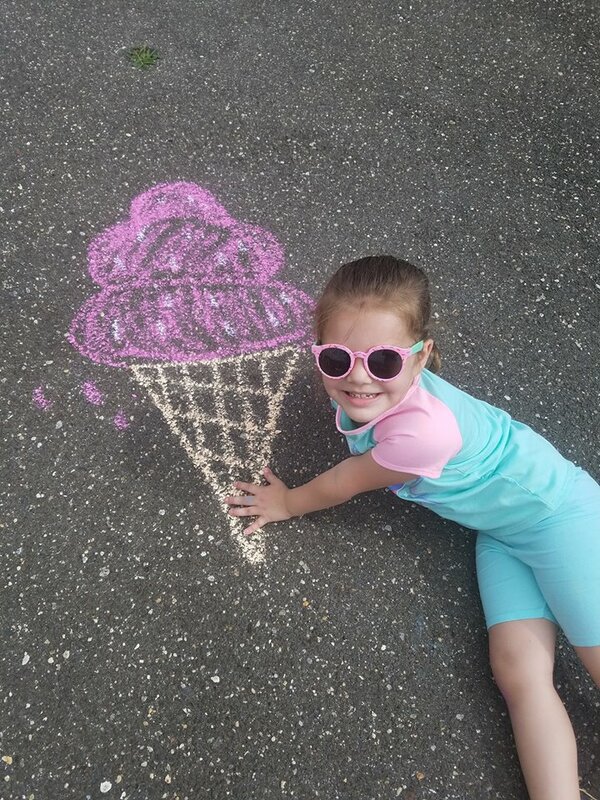 Everyone’s favorite summer treat is ICE CREAM! 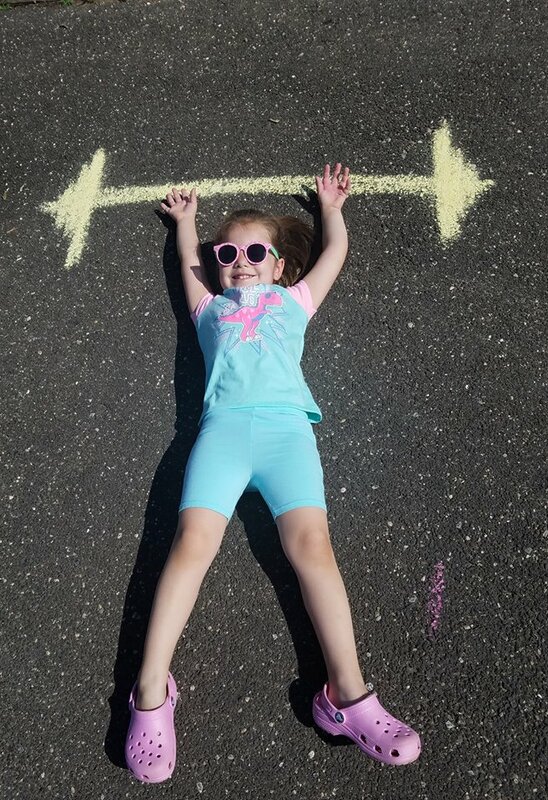 We are all working on our Summer Fitness. 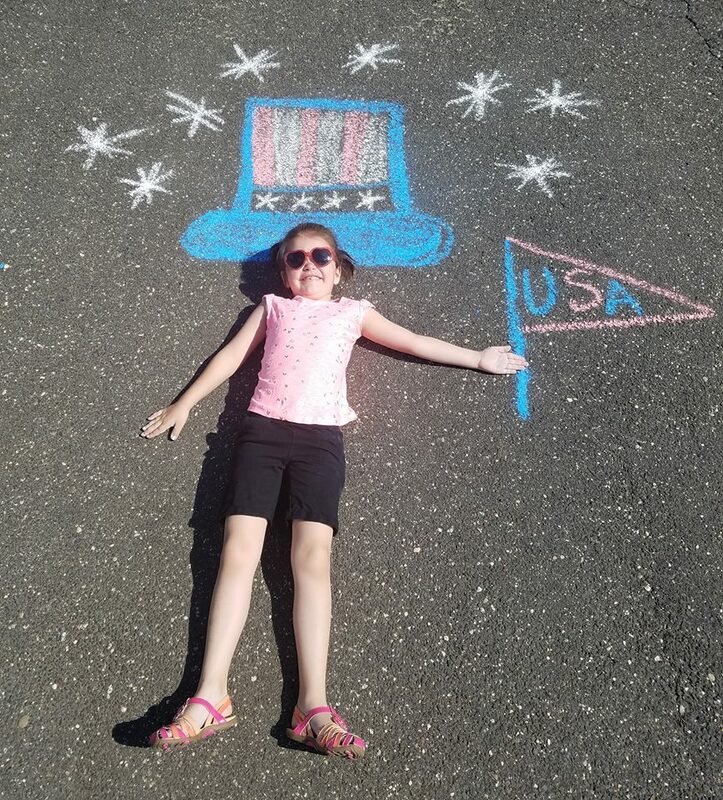 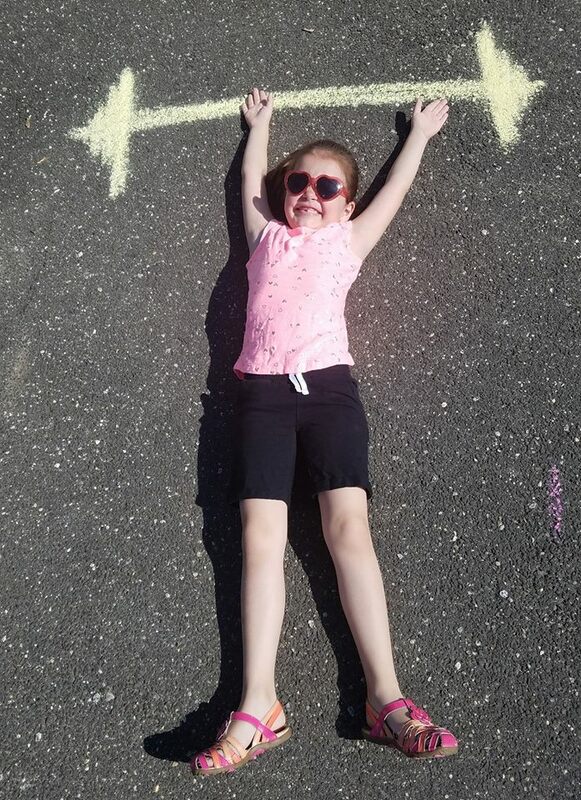 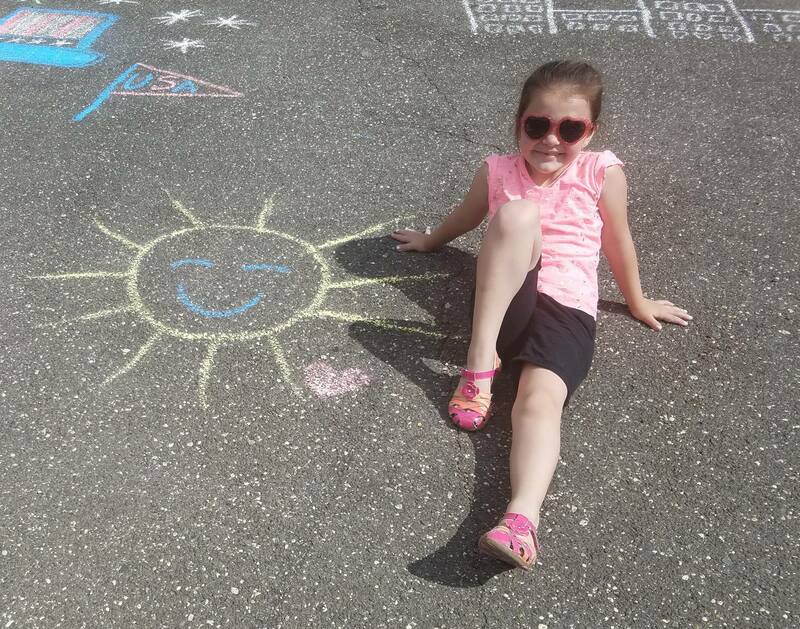 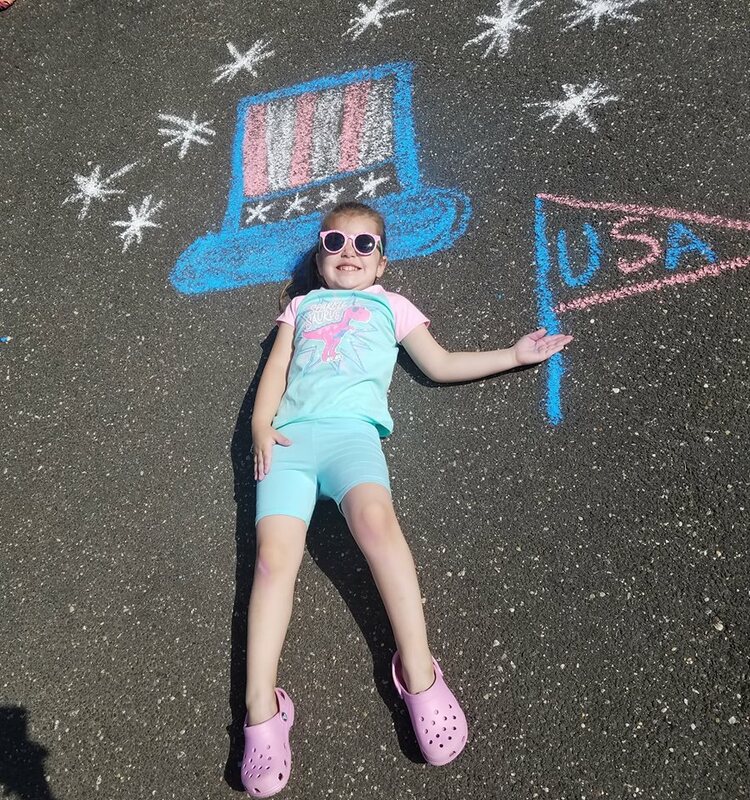 Our favorite holiday is 4th of July in the Summer, we showed our patriotic spirit in this red, white and blue chalk art. 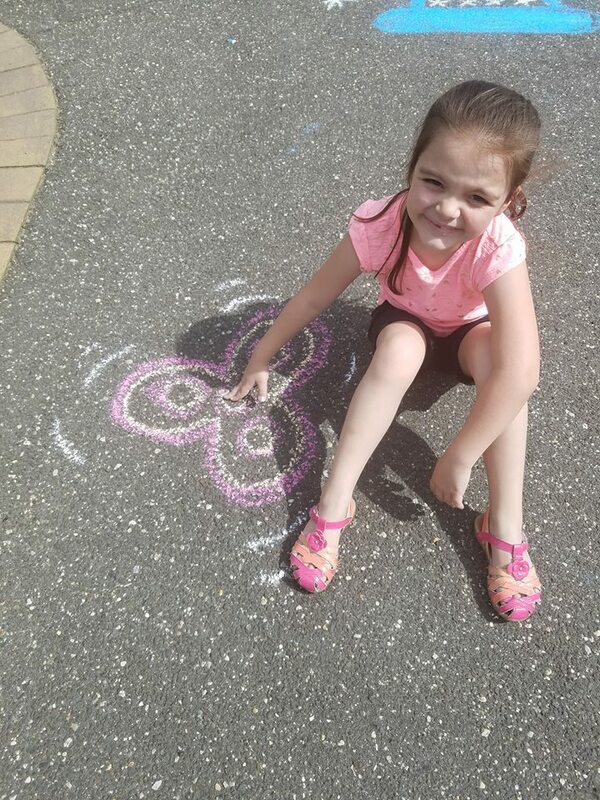 We love fidget spinners so we pretended to be playing with a giant one. 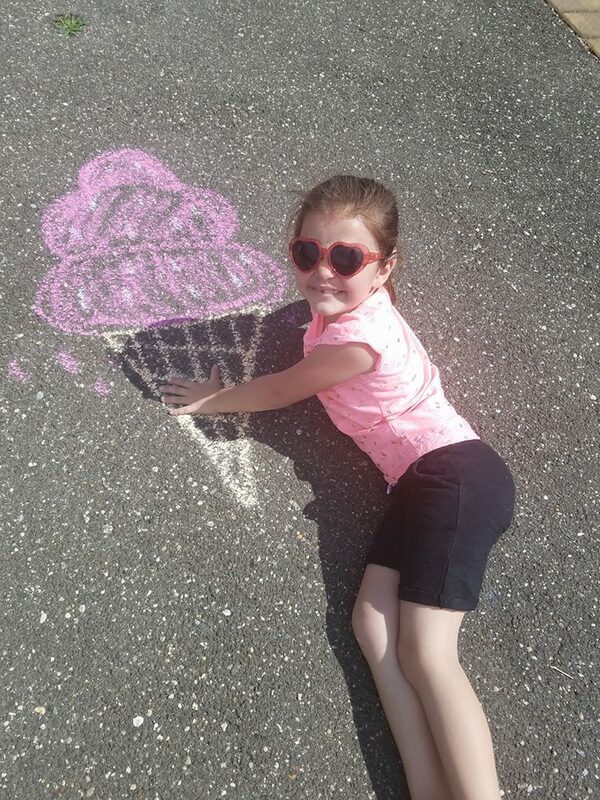 I was inspired to do this fun activity thanks to Pinterest.